MWAH! Spreads Positive Message | MWAH! By: Derrick Mason, staff writer for the Freeport Journal-Standard. 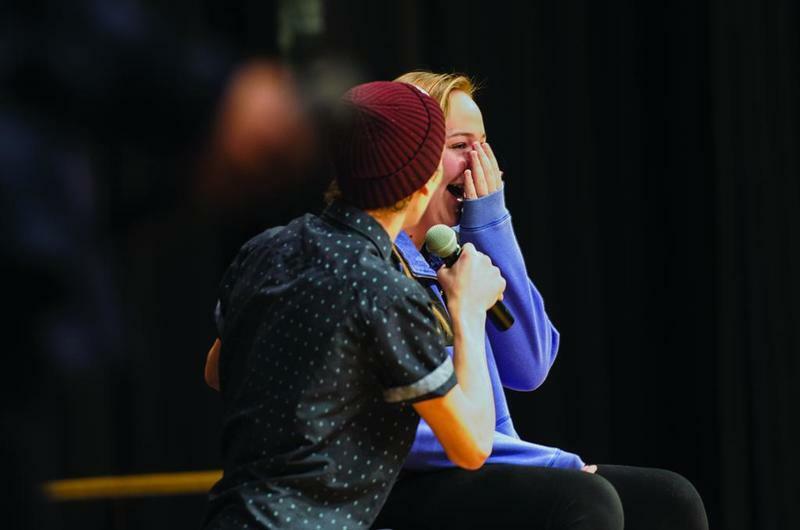 Morrison – A group of youngsters is spreading a positive message at high schools and middle schools in Illinois, one performance at a time. The MWAH! 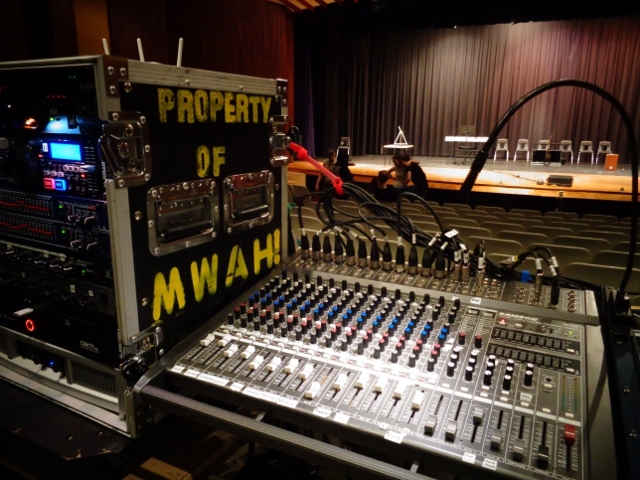 Performing Arts Troupe was founded more than 34 years ago and has recently made stops at schools such as Freeport Middle School and Morrison High School. MWAH!, which stands for Messages Which Are Hopeful, features performers who range in age from 11 to 22 years old from all across northern Illinois. 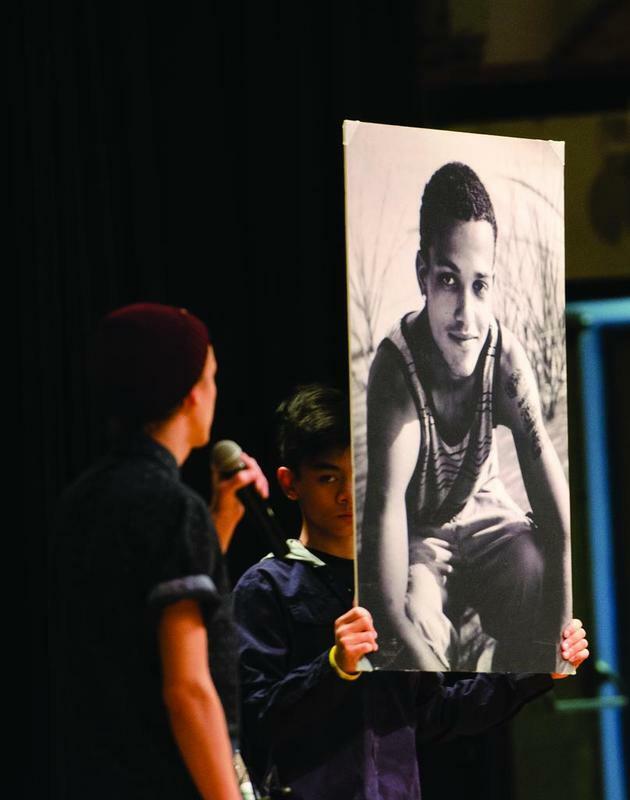 Troupe members share their message against drug use, bullying, suicide, racism, and other issues through acting, singing, dancing, and sharing personal stories. 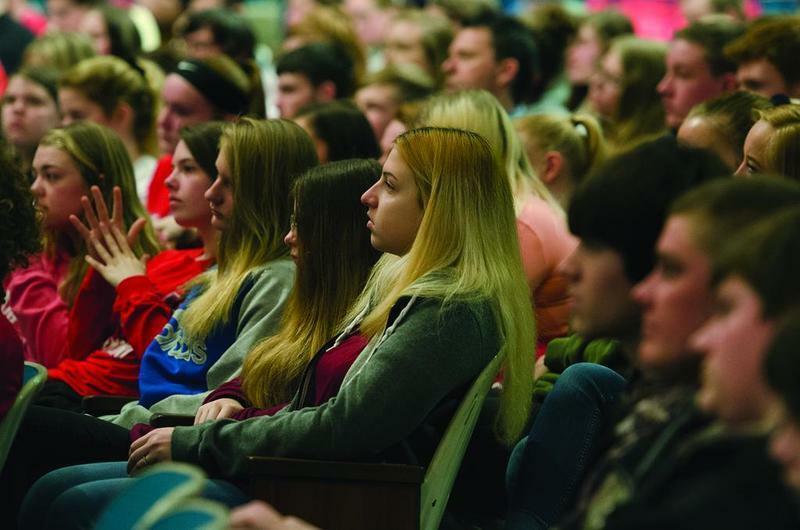 ‘”It’s kids talking with other kids about problems we’re dealing with,” said Landon Ballard, a troupe member and also the troupe’s Assistant Director and a freshman at Rockford University. “We’re not any better than the kids we’re talking to. We’re going through some of the exact same stuff,” said Landon. The troupe on Monday (February 26, 2018) focused on remembering the victims of the school shooting in Florida as well as teen suicide victims. They also took on issues such as abusive relationships, child abuse, and bullying. The performance featured testimonials from several people who have dealt with drugs, a poor home life, and the loss of loved ones. Sarahi Alvarado, 18, started using drugs when she was 11 years old, eventually overdosing at the same time as one of her friends. She survived, but her friend did not. Alvarado has been drug-free for two years and now travels with the troupe to schools to share her story and hopefully prevent others from following the same drug-abuse path. There currently are about 1,900 deaths each year linked to heroin and fentanyl use in Illinois, the troupe said. 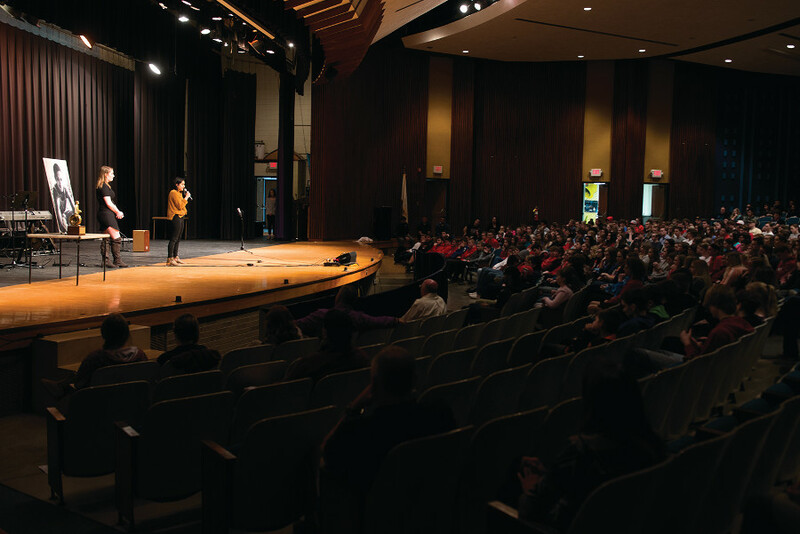 After the show, students at the school were given the option of discussing the group’s messages in the high school library, a more personal setting. Participating were about 60 Morrison High School students along with school support staff, MWAH! troupe members, and others associated with the troupe.